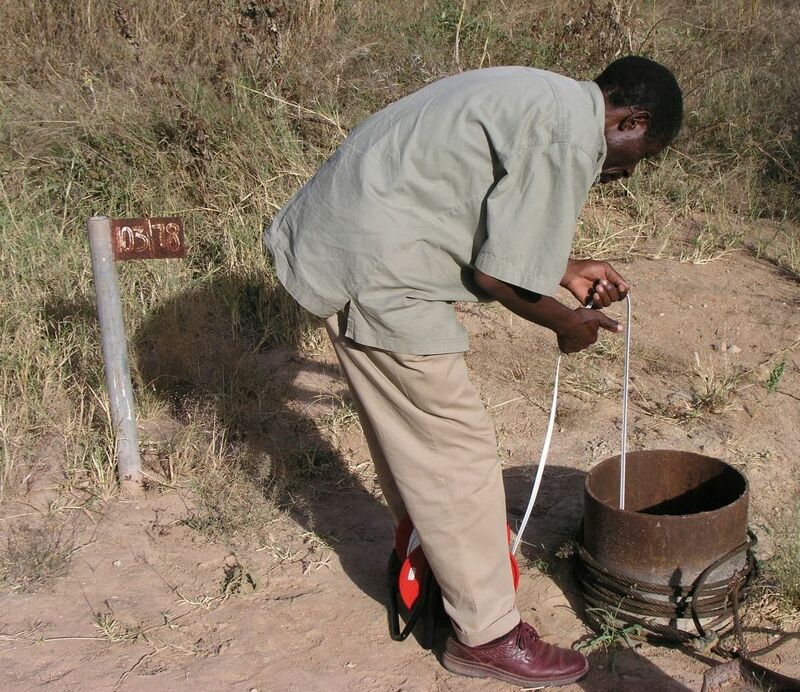 The GroFutures team is working with the Tanzanian Ministry of Water to establish automated, high-frequency monitoring to examine how heavy rains associated with the El Niño Southern Oscillation (ENSO) replenish groundwater resources in a small semi-arid basin (Makutapora) in central Tanzania which features a wellfield that supplies the capital city, Dodoma, with safe water. Groundwater withdrawals have risen sharply in recent years and there is considerable uncertainty regarding the sustainability of this supply. The team from Sokoine University of Agriculture (Japhet Kashaigili, PhD student Richard Festo) and UCL (Richard Taylor, PhD Student David Seddon) are working with the WamiRuvu Basin Water Office and Groundwater Unit of the Ministry of Water. Previous research led by members of the GroFutures Team showed that replenishment occurs episodically, on average just 1 year in 5, and usually in association with El Niño events. In anticipation of the “Godzilla” El Niño event this year, the team is setting up instruments to monitor hourly groundwater levels and river stage (level) to investigate how heavy rains replenish groundwater at the Makutapora Wellfield. These observations will inform not only sustainable management of wellfield itself but also strategies for amplifying replenishment here and in other similar tropical semi-arid locations.